When your wisdom teeth — your third molars — come in during your young adult years, there often isn’t sufficient room for them. This can lead to a host of complications, such as crowding and pain. Huixin Wang, DDS, regularly performs wisdom teeth extractions at Wintergreen Family Dental in Rockville, Maryland. 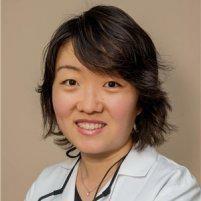 Dr. Wang and her friendly staff help you through each step of the process, including monitoring your recovery closely. To find out more, call or use the online booking tool today and schedule an appointment. Your wisdom teeth are molars behind your second molars that often come in during your young adult years, typically between the ages of 17 and 25. Since they arrive after all of your permanent adult teeth are already in, there often isn’t enough room for them, which leads to crowding and other issues. Even though wisdom teeth don’t always need to be removed, wisdom teeth removals are a fairly common procedure. Wisdom teeth often cause problems as they’re trying to protrude through the gums. When a wisdom tooth is impacted, it means the tooth is coming in at an angle and not straight through the gum line. This can cause pain, teeth coming in unevenly, or the teeth only emerging partially. When a wisdom tooth only emerges partially, a flap of skin called an operculum can form over the tooth. This can make the tooth hard to clean, and pieces of food may be caught under the skin. An operculum can lead to infection or swelling and pain in the area. Impacted wisdom teeth that can potentially cause problems, like infections, need to be removed. Wisdom teeth removals can range from extracting a single tooth to all four wisdom teeth at once. Typically, Dr. Wang uses a local anesthetic to numb the areas where the teeth are extracted. In some cases, she opts for a general anesthetic so that you can be sedated during the procedure. The gum tissue around the wisdom tooth is cut open to access the impacted tooth. Dr. Wang then loosens the tooth by gripping it tightly and wiggling it back and forth until it can be lifted out of the gums. In some cases, a tooth may be impacted so tightly that it can’t be simply lifted out of the gums. In cases like this, the tooth Dr. Wang removes the tooth sections. Depending on the incision and extraction site, sutures may be needed to close the area. Soluble sutures are the best option, which dissolve on their own. What is the recovery from wisdom teeth removal like? After the surgery, you’re going to need plenty of rest. You need to be driven home by a friend or family member because of the anesthesia. You can expect for the extraction site to bleed for a little while after the surgery. 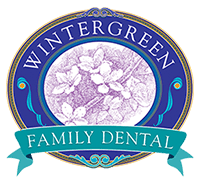 The Wintergreen Family Dental team applies gauze at the completion of the surgery, and you need to change it when it becomes soaked. If bleeding continues for longer than 24 hours, you should let the office know. Rest when you return home, but do not lie flat, as this could prolong the bleeding. Prop your head up on a pillow when lying down. Dr. Wang prescribes you pain medication, so if you become sore, take it as directed. You can also use an ice pack for the pain. Dr. Wang may also provide you with a cleaning solution to clean the extraction site. When drinking, make sure you don’t use a straw, since the sucking motion can loosen your sutures and slow the clotting process. The same goes for smoking. If you have wisdom teeth that are causing problems, call Dr. Wang or schedule an appointment online right away.